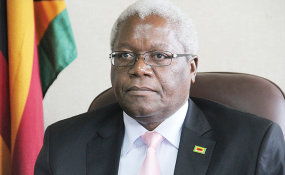 Two more Local government ministry employees have been nabbed for working in cahoots with the ex-finance minister Ignatius Chombo to defraud the ministry of nearly $1million by grabbing stands without authority from Harare city council. Lazarus Chiimba who is the registrar of valuers and Rejoice Pazvakavambwa, the deputy director of valuations and estate management in the ministry of local government, appeared in court recently. They were charged with defeating the Prevention of corruption Act after they authored documents favouring Chombo in a stand deal without following procedures. The stand is valued at $900 000 according to court papers. Court heard that Chiimba authored a document indicating that he had no objections to a double transfer of the property to one Alois Ndaizivei Chimeri and that he be given title deeds to a property which had been illegally acquired by Chombo. He allegedly influenced the council to illegally get compensation of the said stand which had been sold by Chombo. Pazvakavambwa had illegally documented that Chombo had bought the stand when in fact he didn't pay a cent towards it. Chombo and Psychology Chivaku are already on remand over the same charge. The four have been denied bail after the state argued that they were facing a serious offence. Court ruled they were likely to abscond as they have significant financial resources which they could use to buy freedom through the country's notoriously porous border posts.